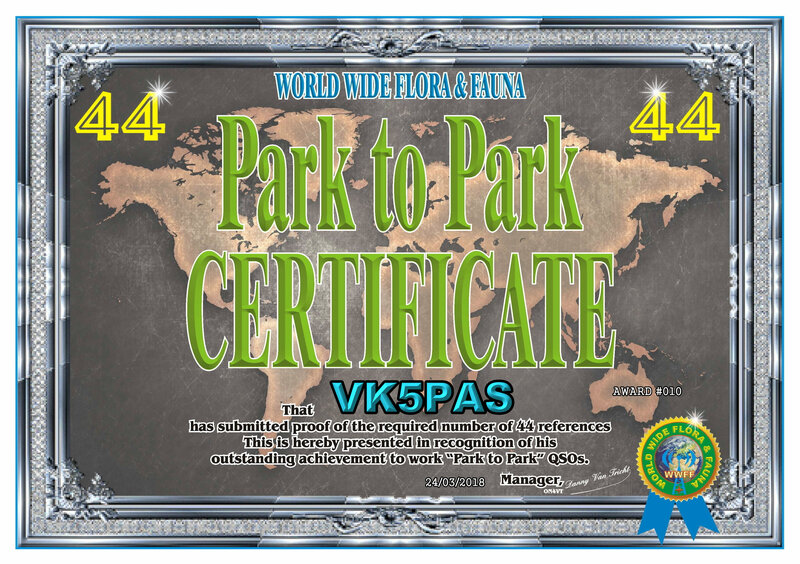 Today I received my latest Park to Park (P2P) certificate for the World Wide Flora Fauna (WWFF) program. Many thanks to Danny ON4VT, the P2P Awards Manager. This entry was posted in Park to Park award, World Wide Flora and Fauna (WWFF). Bookmark the permalink. Excellent achievement! I don’t think i have 44 total yet! Its getting easier and easier now. When I kicked off VKFF around 3 years ago, I remember struggling to get 5 or 6 contacts during an activation. Now its quite possible to get 100 +. The program is increasing in popularity all the time.